Several of the question-sets I've sent out to potential interviewees of late haven't been returned, so I'm turning my attention to someone I knew I could count on; someone dependable, reliable, patient, and wise beyond his years ;-) …Shecky Riemann of course!! Well, Shecky you astute, dashing gent you, how ya doin' these days? 1) So, where did the name "Shecky Riemann" come from anyway? When I started "Math-Frolic," inspired at the time by the recent death of Martin Gardner, I knew I wanted "Math" in the name of the blog, yet didn't want that word scaring people off (especially the sorts of lay people I sought as readers). So I picked a title ("Math-Frolic") that I thought sounded light-hearted and non-threatening, and then wanted to reinforce it with a humorous-sounding name for myself. Bernhard Riemann was one of my favorite mathematicians, and I'm of an age where I associate the name "Shecky" with a number of stand-up and Borscht-belt comedians from my youth. For me, "Shecky" is a comic's name, and I immediately thought "Shecky Riemann" had a humorous ring to it, so it was born. After the blog went up, I was surprised to find that many didn't catch the intended humor, and thought I might really be related to the famous Riemann (I WISH! ), so I had to be more clear that it was strictly a pseudonym for entertainment purposes (the name still gives me a chuckle!). 2) What in your background brought you to math-blogging? And what is your 'day job'? Well, not much… that is to say I only got as far as a year of college calculus before being diverted to other things academically (B.A. psychology Pomona College; M.A. Communications plus some doctoral work). Nonetheless, since childhood I've been fascinated by both mathematics and mathematicians. 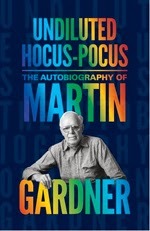 As indicated above, that latent fascination was re-kindled when Martin Gardner died, and I recalled all the joy his writings brought me in years prior. I'd also been reading/enjoying Sol Lederman's "Wild About Math" blog for quite awhile which convinced me that a math blog which was "fun and accessible" and directed at non-professionals, could attract an audience. Still, I didn't expect "Math-Frolic" to last even a year (I've done LOTS of short-lived blogs in the past), but lo-and-behold, 3+ years later I continue having a blast with it, and loving the contact it provides me with 'real' mathematicians. One of the great things too about math-blogging is that so much of the material is timeless... where the posts of say a political blog may already be obsolete in a month's time, math bloggers can write about the Pythagorean Theorem, 2000 years after the fact, and still be saying something that's both true and interesting! As far as a day job, I've spent most of adulthood as a lab technologist in different areas (primarily clinical genetics), oddly unrelated to my prior academic work, but for some time now have done odd jobs. If the right opportunity arose I'd probably return to a more sciencey/math environment. 3) How did your interest in mathematics originally come about? I really have no idea, except that when I was very young my mother would read bedtime books to me and, unlike other kids, I gravitated to the books that were most-filled with numbers or even arithmetic. She kidded me in later years that the books I asked her to read would put HER to sleep, instead of putting me to sleep, as intended! 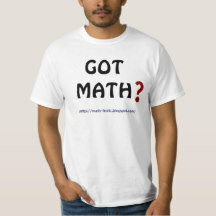 :-) Math was easily my best subject from early on through high-school, before it fell by the wayside. 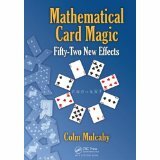 4) What are your favorite aspects of mathematics to study or read about? When I was younger it was certainly geometry… the beauty and logic of geometry I think initially attracts a great many people. As I grew older, and especially as I got acquainted with the ideas of Cantor, Gödel, and others, I've become a lot more interested in the foundations of math and in mathematical paradoxes and uncertainty. I think this is sort of a natural progression, from the seeming precision and certainty of something like geometry to the abstraction of what math (and even "knowledge" more generally) is at a deeper cognitive level; it even ties into other interests I have in psycholinguistics and semantics. 5) Is your blog principally "a labor of love" or is it more than that for you? For the surprising number of hours that it takes up, accompanied by very little compensation gotten out, yes I think of it as a 'labor of love.' It also provides me, in an odd way, with a feeling of returning to childhood, and what interested me so much way back when. I've said before that I think mathematicians, more than most folks, are eternal children-at-heart (who see the whole world, indeed the Universe, as a playground for exploration)! 6) How do you select the topics you post about? no real rhyme or reason, except of course picking things that I personally find interesting (and not too technical) and wish to pass along. There are large swaths of math that don't interest me, which means a lot of topics, which are perfectly valid blogging fare, don't get covered by my blog. When I began blogging, my plan was to avoid delving much into math education, since I'm not an educator myself, and there are SO MANY other bloggers doing a good job covering that controversial area… still, that arena is so fascinating and important, I often do find myself doing education-related posts; it's always a hot-topic. 7) You actually run two math blogs now, "Math-Frolic" and "MathTango;" can you explain the differences between them? Yes, it's a little crazy that someone with my background is actually doing two math blogs! (Go figure!) Math-Frolic started as what people often call a "link-blog" -- a blog primarily linking readers to other posts/pages of interest… with all the right-hand column side-links I include, I also wanted lay readers to use my blog as a useful/informative math "portal." I average over 5 posts/week at Math-Frolic which is a LOT. MathTango was started specifically so I'd have a repository to put up some much longer posts that could sit there fer a spell and 'percolate;' it only averages about 3 posts per month. I like the combination and flexibility that affords me for now, but can imagine that someday, I may post fewer but longer posts at Math-Frolic, and the two blogs might be re-merged into one. 8) Are there certain blog posts you've done that stand out for you as personal favorites or ones that were the most fun to work on? And from the other side, which posts seem to have been most popular for your readers? I have to admit my readers and I have DIFFERENT tastes! :-( My own favorite posts at Math-Frolic tend to deal with paradoxes and philosophical conundrums or puzzles, but often the greatest traffic, I s'pose understandably, comes from coverage of specific timely math matters that are in the news, or alternatively, humorous posts frequently draw a lot of hits (even though I often think of them as trivial space-fillers!). At MathTango I've had special fun writing occasional off-the-cuff commentaries about some matter weighing on my mind, but those don't usually get nearly the traffic (one recent exception though was this one on 'skepticism') as interviews with 'name' mathematicians or certain of the book reviews … I very much enjoy doing the interviews and book reviews too, just not sure that my favorite ones coincide with reader choices. 9) You bring up a lot of popular math books on your sites, but when you're not reading math what do you like to peruse, and what are your other interests/activities/hobbies? I'm strictly a non-fiction reader, and in last few years pretty much restricted to math and science! (I wish I could enjoy fiction more, but really I blame mandatory high school English lit for turning me off to fiction! -- in my mind, I think I wondered, 'when will I ever use this?' ;-) I don't even like science fiction which so many of my science friends savor). As far as other hobbies, I'm a birdwatcher (and like other animals as well), enjoy some hiking, tennis, flea markets, and generally pretty simple things. 10) Any parting words, not covered above, you'd want to pass along to a math-oriented audience? just that cyberspace has opened a world of mathematics that really wasn't accessible when I was growing up… it's a WONDERFUL thing to witness and to have at one's fingertips... I hope anyone with even an inkling of interest in math takes advantage of it. I just wish I was now 9-years-old, instead of, uhhh, well, 39+. Well, thank you Shecky, for doing what you do so well... talking to yourself! 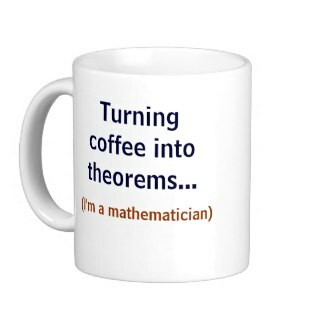 ....and with that, Shecky sauntered off, mumbling something about turning coffee into theorems.